Can you tell us about the Online MBA degree offered at Penn State University? The Penn State Online MBA, led by the internationally ranked Smeal College of Business, is designed to offer you an experience customized to fit your busy lifestyle and career goals while delivering a world-class education. Our 48 credit program offers 13 core courses and the opportunity to concentrate in a chosen area. Currently we offer 10 concentration options, and we will add more in the future. In addition, students can chose to start in fall, spring or summer, and they will attend a one-week residency experience on campus in University Park, PA. Select concentrations also offer the opportunity to pursue a Professional Graduate Certificate simultaneously with the MBA. In some cases, it may also be possible to pursue 2 degrees concurrently. Is the GMAT & GRE required for acceptance into the program? Do international students have the same requirement? The GMAT or GRE is an entrance requirement, however, there are cases in which we will waive the exam. GMAT or GRE waivers are offered to applicants with Ph.D., M.D., or D.O. degrees, and may also be considered for those with other advanced professional degrees, progressive work experience, or leadership experience, and who have not taken either test in the past 5 years. Factors considered for granting a waiver include an applicant’s quantitative and analytical readiness for graduate study. International students have the same requirement (and also must submit TOEFL or iELTS scores). How long does a typical online MBA program take at Penn State University? What is the maximum and minimum time of completion? The program takes most students 2-3 years, though we can extend that (or shorten it) to customize a student’s plan based on his/her individual needs. The Graduate School allows for 8 years to complete a degree (to accommodate deployments, unexpected emergencies, etc.). What do you think makes Penn State University online MBA program stand out from other online MBA programs offered by similar schools? 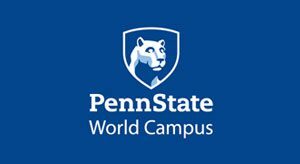 Some of our differentiators include the flexibility and customization offered (pace of program and area of concentration) and access to Penn State, Smeal College of Business AND World Campus student and career resources. Our approach to learning, through our I.C.E. model, insures that our academic experience focused on Integration, Collaboration and Engagement. A Penn State degree is recognized and regarded globally, and our program offers students the benefit of being part of the largest and most engaged alumni network in the world. How important would you say accreditation is when choosing an online MBA program? What are the advantages to earning an online MBA degree in general and where are you seeing employer demand for this degree? The advantage of having a flexible program that allows a student to juggle school, work and life at their own pace is unmatched and simply not possible in a resident program. Students can continue to “earn while they learn” and continue on their career path without taking a step off of the professional ladder. ROI in an online program is immediate. You can learn something one evening and apply it to benefit your organization the very next day. There is employer demand for the MBA degree across most industries and functions. In many organizations, financial support may even be offered as a benefit to retain great employees. Does Penn State University offer job placement for students who graduate with an online MBA degree? Yes. While many students are currently employed (and some even sponsored by their employer for the MBA program), our Career Services team has resources to serve students at all points in the trajectory of their career path—whether that means seeking a new position with a new company, or providing them with the tools to advance in their current organization. Our program offers modest merit-based scholarships to a handful of students in each intake based on the competitiveness of the application. US citizens may also apply for federal aid/loans. Do you have any advice for students enrolling in an online MBA program for the first time? Plan. Plan. Plan. Execute. Strong time management skills are crucial for success in an online program. A successful student will be dedicated, disciplined, and organized. While the time of day/time of week one does work is flexible, the workload itself is as rigorous of that of a resident program. Much of the work is team-based, and students will need to account for work and home demands, as well as what they will need to accomplish for their classes. What do you enjoy most about your position at Penn State University? The people and community I get to interact with every day. PSU is richly diverse and school spirit is unrivalled. The Smeal College of Business is committed to honor and integrity, as well as to a sense of community and collegiality that resonates with my own values. Penn Staters are known for our “roll up your sleeves” work ethic, and they truly want to help each other. I’m proud to call Penn State both my chosen employer AND my alma mater. 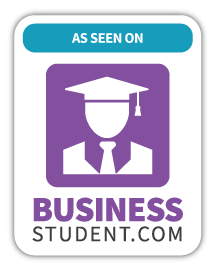 For more information on the online business programs offered at Penn State University, visit them online. When it comes to selecting an MBA program, you want a quality education that fits your needs. The Penn State Online MBA, led by the internationally ranked Smeal College of Business, is designed to offer you an experience customized to fit your busy lifestyle and career goals while delivering a world-class education.